His wife stolen, his castle ransacked, and the future of his kingdom hanging by a thread... can Dmitri find the courage he needs to face his greatest fears? Prince Dmitri returns to his castle from a diplomatic mission only to find that his pregnant wife, Arien, has been kidnapped by unknown immortal, evil beings. He and a group of devoted friends set out to rescue the princess, determined to reach her before anything happens. But the traps and enemies they encounter along the way make them question their resolve. 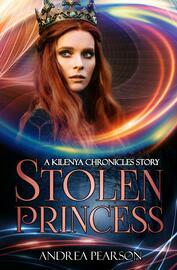 Will Dmitri reach Arien before the evil kidnappers kill her and their unborn child? Stolen Princess, a Kilenya Chronicles story, will keep you up at night, reading about the twists and turns Dmitri and his friends must fight through. Download it now to begin the adventure!